With street protests in full swing, you never know what sights Bangkok has in store for you. This morning I discovered aliens invaded Bangkok (yep, not just protestors invading Bangkok, now aliens) over night and laid eggs. It’s Bangkok, things like this go unnoticed by most. Truly, it’s just guava being delivered to a local street vender. 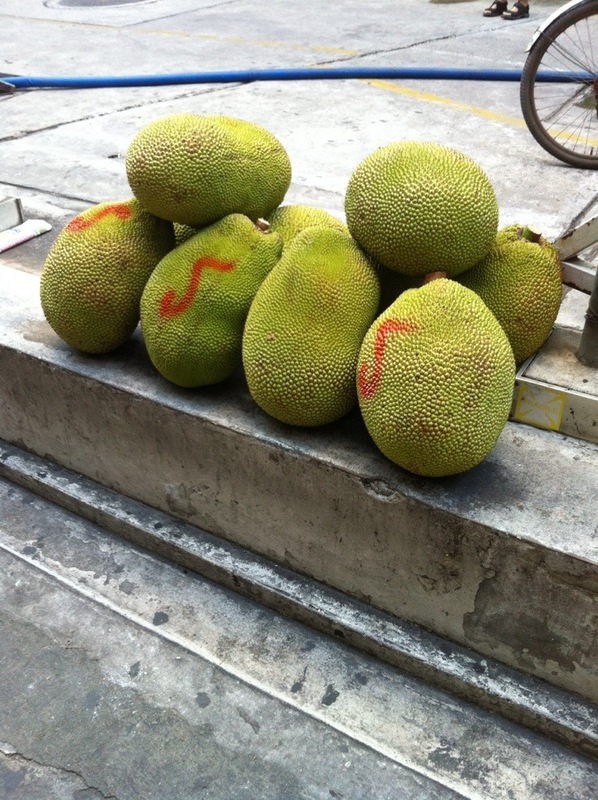 Image | This entry was posted in Farang and tagged guava. Bookmark the permalink. It’s not guava, it’s jackfruit!